Neon signs are an iconic part of Hong Kong’s visual identity, serving as illuminating records of urban and cultural development. In recent years, the diminishing number of local neon signs calls for an effort in preservation and study; with the donation of several hundred hand-painted artworks from one of Hong Kong’s last remaining neon sign factories, the School of Design has begun a new direction of visual inquiry into Hong Kong’s unique design history, in relation to consumer culture, through the study of these artifacts. As each sign embodies narratives specific to a certain time and space, neon signs throughout decades could be seen as significant snapshots of the city’s changing aesthetic, technological and economic landscape. 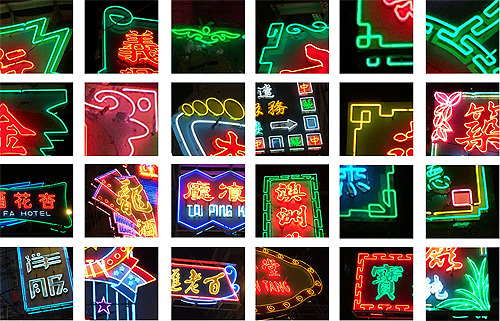 Through the study of neon sign design practices and their relationship with Hong Kong’s history of consumption, the project attempts to understand the styles and designs of neon signs in their socio-historical and urban contexts. The project will report on design and typographic matters specific to the latter half of the 20th century, and proffer a historical narrative about Hong Kong urban life. 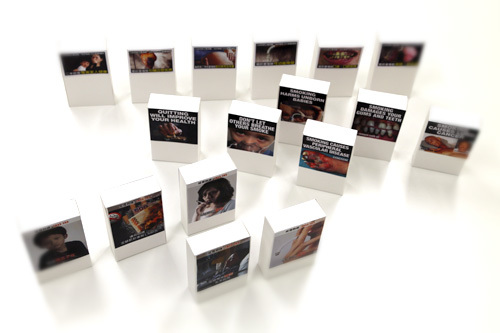 Since 2007, the Hong Kong SAR Government has required all cigarette packs to be printed with pictorial health warnings, as part of an anti-smoking initiative to raise public awareness about tobacco health risks. With the passage of time, the effectiveness of such pictorial measures had gradually diminished, leading to a proposal of enlarged warning size and new images, in part following example from the World Health Organisation’s (WHO) guidelines. Different parties, however, have raised concern over the perceived impact of the proposed solutions. 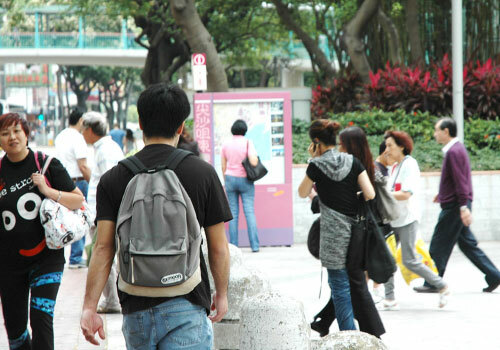 The Information Design Lab notes that past approaches with anti-smoking campaigns in Hong Kong had involved very little, if any, in-depth analysis over the factor of fear appeal and visual language related to effective health communication, which would contribute to the decision to quit smoking. This research project intends to fill this gap, by 1) understanding different stakeholders’ views on pictorial warnings on cigarette packs, 2) carrying out an assessment of fear appeal present in local cigarette health warnings in comparison with other countries, 3) examining the effectiveness of such warnings on cigarette packs, both local and overseas, and 4) understanding the correlation between warning display size and the desired emotional impact. The project aims to build, in light of their imminent disappearance, a database of currently still existing Hong Kong neon signs and study the ways in which written and graphic language is used in neon signs as they are presented in our urban landscape today. 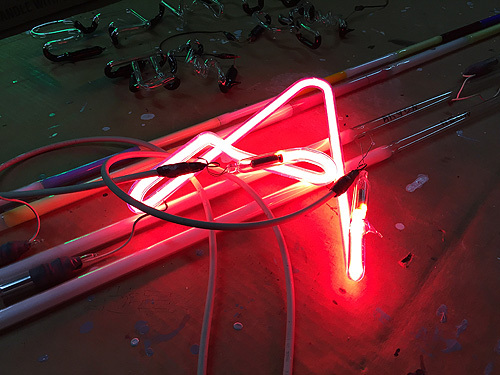 It also intends to relate the visual form to the technical specificities of the craft of neon sign making. This research project takes on perspectives of historiography, typography and visual analysis, in order to examine mainly two areas of interest in neon signs – their unique visual aesthetics and design (external audit), and craftsmanship (internal tacit knowledge). This study is part of an open source archive of urban signage - as an analytical tool as well as a historical record. 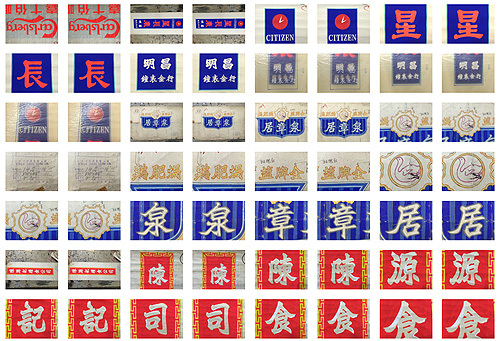 The historiography approach allows researchers to trace the origin of Hong Kong neon signs from the aspects of communication design, typography and visual culture. Indeed, the emergence of local neon signs not only truly echoed economic growth and consumer culture in Hong Kong since the 1970s, but also reflected the development of visual culture, typography and graphic design in the city. Obesity, being one of the most significant public health issues in modern society, is largely related to the consumption of excessive fat and sugar in everyday diet. Many other forms of health problems can also be traced to the excessive intake of certain ingredients in processed foods. Nutrition labels are therefore viewed as important tools to convey health information of concern to consumers, aiding them in making better food choices in accordance with their personal health needs. 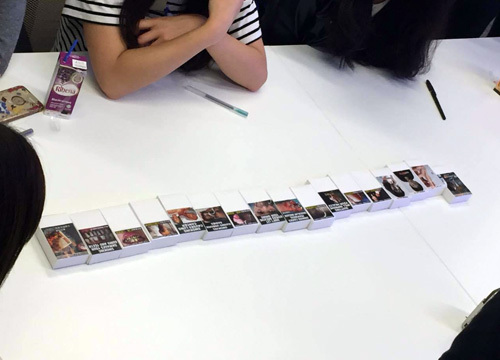 In Hong Kong, a unified and coherent information design system for nutrition labels has yet to be developed. Labels on the market vary in design and quality, rendering it difficult for consumers to understand and compare product ingredients. The aim of this research project is, therefore, to develop a new design system for nutrition labels or tables, generated from a series of user tests and in-depth interviews, to be applied across all food products. This system should be user-friendly, highly accessible, comprehensible and usable for the general public. Fa Yuen Street is an open and public market located at the edge of the Mong Kok District. Besides it being a place of commerce, it is also a well-known local landmark where cultural identity is shaped and a sense of belonging is formed. The street is a platform, as argued by scholars (e.g. Jacobs 1961; Mumford 1998) , where a person’s communication takes place. In turn, this helps foster a local community of diversity and build intimate relationships among people. Today, Fa Yuen Street has gradually turned into a packed space accommodating about 233 hawker stalls and 139 street-level shops. Many interconnected factors and interactions between different stakeholders (such as hawkers, residents, shop owners, etc.) have contributed, together, to the creation of a tightly knit community and years-long close relationships. The book “I am a Street Ethnologist: Street Culture in Fa Yuen Street” explores a range of inter-related perspectives on human interactions in the street and investigates how they have constructed a neighbourhood that exists through tightly networked social bonds in a distinctly local context. 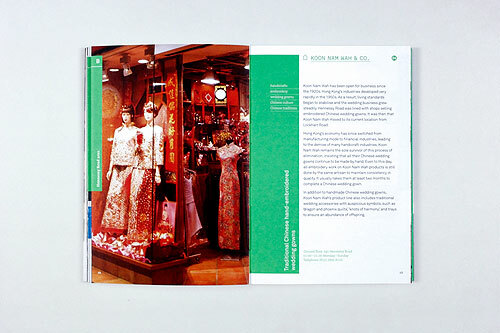 It also presents various spatial tactics reflecting Hong Kong’s street culture and vernacular knowledge. 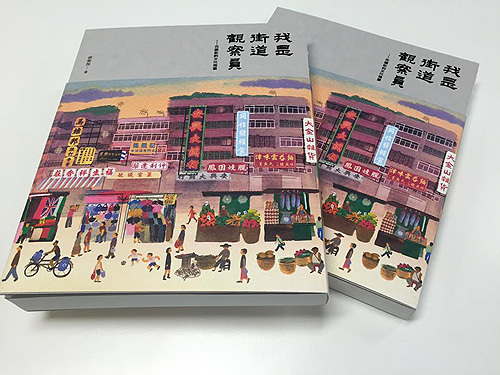 The book can be taken as a useful reference in light of urban redevelopment and street culture preservation in Hong Kong, in the near future. Funded and supported by the Arts Development Council (ADC) in 2013, the book was published and distributed to the public during the summer of 2016. Joint Publishing and Brian Kwok received the Distinguished Publishing Award for the publication at the 28th Hong Kong Print Awards 2016. 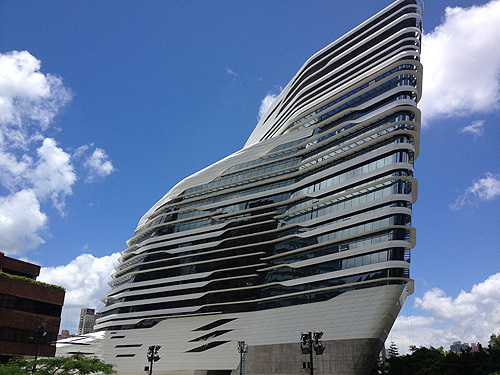 The Jockey Club Innovation Tower at PolyU was designed by world-renowned architect Zaha Hadid, and completed in mid-2013. The Information Design Lab was involved in the design of the building’s wayshowing system, engaging with different parties and stakeholders and conducting a series of user-tests to present a better user-centered signage system. A wayshowing system is a communication system integral to an architectural space. It is a coherent set of related communication artifacts, such as signs, maps, symbols, messages, environmental graphics, interfaces etc., which aims to help visitors in the navigation of space and support them in accomplishing what they have set out to do within the space. The goal of wayshowing design is to create an experience that is effective, effortless as well as enriching. A wayshowing system also has the potential to appeal to the users’ emotions, giving the building a ‘sense of place’ and the institution a tangible identity. According to a report published by the Census and Statistics Department in 2009, Hong Kong people at the age group of 65 and over are estimated to be around 2.5 million by 2039. The figure explicitly shows that there are urgent challenges ahead for a rapidly ageing population, and the consumption of medicine will increase. Mistakes in medicine intake are common among older patients in Hong Kong. Some may lead to fatalities, particularly for older patients who live alone. These elderly patients have to struggle with the small print and poor information design often found on medicine labels. 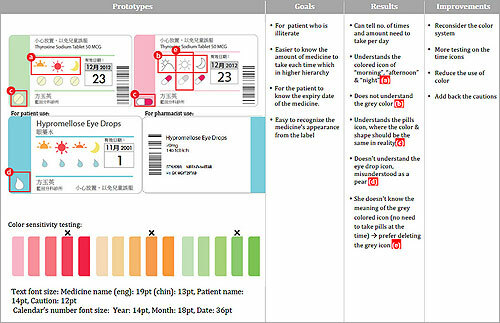 This project is a response to the imminent need for improving medicine labels in the public healthcare system in Hong Kong. 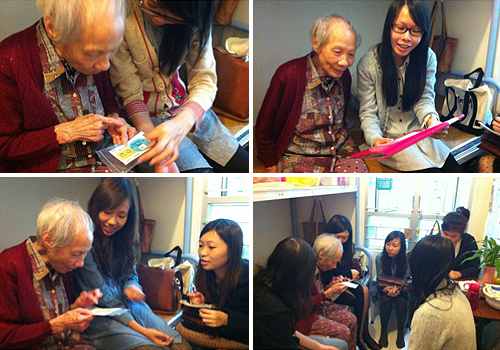 Through cycles of prototype generation, user testing and participatory research, the project aims to decrease the number of errors related to medicine intake and to enhance active ageing in the local community through effective information design. Brian Kwok presented the initial findings on this project at the Information Design Conference in Greenwich, UK in April 2012. Hong Kong has a population of 7 million. Covering an area of 1,104 square km, its density is amongst the highest in the world. With extensive transportation networks made up of mostly railways and buses, it serves an average of 7.57 million passenger trips per day. It is not difficult to imagine the complexity in both wayfinding and wayshowing in this compact yet dense city. How do people develop spatial knowledge amidst this complexity? Through what means do people accumulate spatial knowledge so that they can make sense of the city and effectively traverse through it? 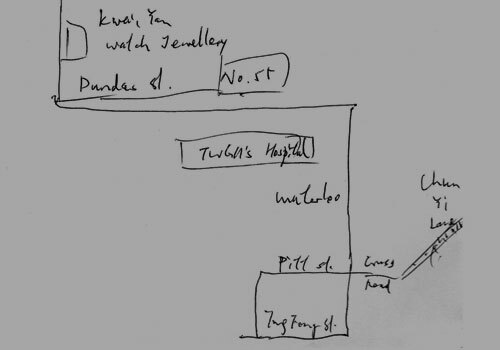 This project investigates how people navigate form mental maps in three major areas of Hong Kong (Central and Western, Wan Chai and Yau Tsim Mong districts), and how these relate to the design of spatial representations such as maps and wayshowing systems. 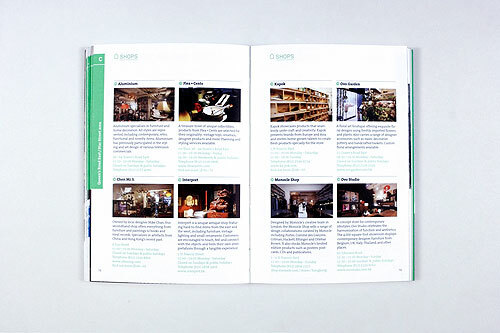 The research comprises of three aspects, examining existing wayshowing tools, sites and environmental clues as well as people’s wayfinding behaviours. 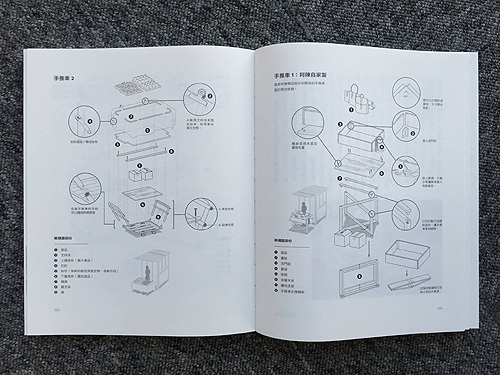 This practice-led research project involves the research, conceptualization and production of a series of guidebooks titled Design × Culture Navigator for various areas of Hong Kong. Adopting a user-centered approach, the project aims to explore what makes tourist information easily understandable through a series of design investigations. 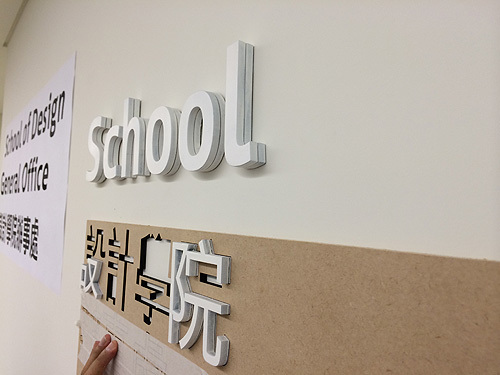 Student interns from the Communication Design programme have participated in the project. The first title on Wanchai was published in December 2010; the second in the series on Tsim Sha Tsui and the surrounding areas was published in November 2011. In addition to the production of commercialized publications, this project also aims to generate new knowledge on tourism information design such as models, workflow, methodologies and principles for the researching, writing, designing and producing tourist guidebooks. As a collaborator, the Hong Kong Design Centre provides partial funding and support for this project. 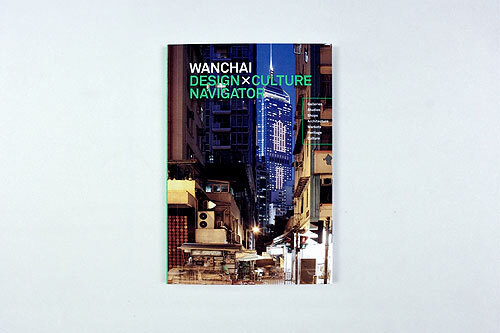 Both the Wanchai and Tsimshatsui Design × Culture Navigator are now on sale at major bookstores in Hong Kong. 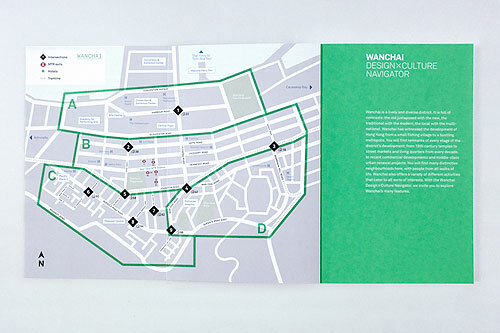 The Wanchai Design × Culture Navigator has won a merit recognition in the 2011 Design for Asia Awards organized by the Hong Kong Design Centre. 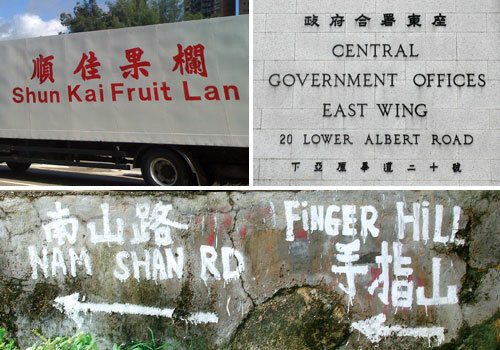 Bilingual typography in Hong Kong has a long history but there has not been much analysis on its effectiveness or significance. 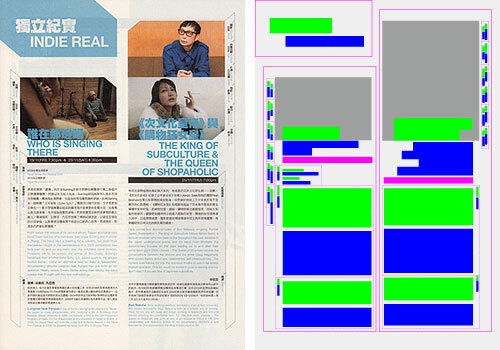 This project aims to find out where the issues lie in Chinese–English bilingual typography and what makes it effective. 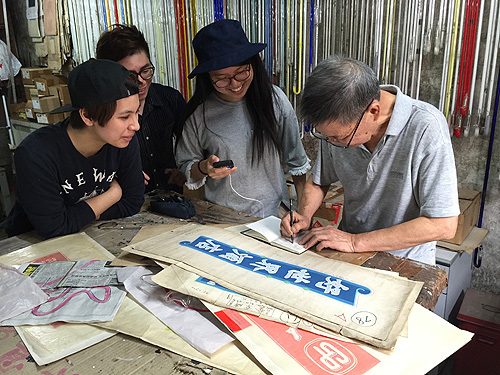 Three types of bilingual typography is being examined: 1. Where two languages/scripts appear as equivalents to each other in terms of meaning; 2. Where one language/script is embedded into another below the clause level, termed as ‘code-mixing’ in linguistics; and 3. Where one language interweaves into another at clause level or above, termed as ‘code-switching’. Keith Tam delivered a keynote presentation on this project at Same/difference: multilingual typography symposium in August 2011. 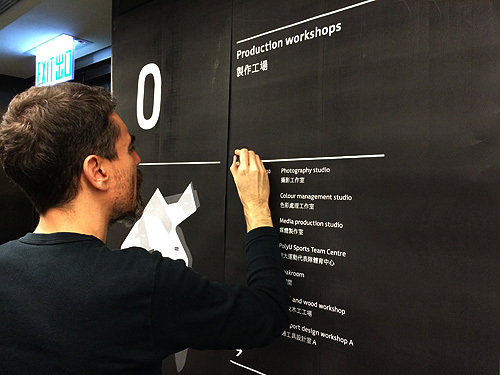 An international symposium on multilingual typography titled ‘Same/difference’ was held at the Hong Kong Polytechnic University in August 2011, co-organized by the Information Design Lab and the Design2Context Design Research Institute at the Zurich University of the Arts. 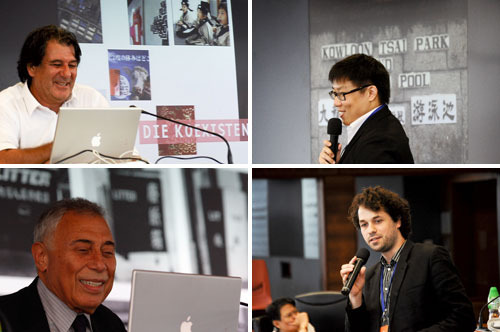 Keith Tam, leader of the IDL delivered a keynote presentation titled ‘Bilingual typography: Hong Kong case studies’. Other speakers include Ruedi Baur, Henry Steiner, Wang Xu, Esther Liu, Roman Wilhelm, Zhang Hua, Sammy Or and Mariko Takagi.